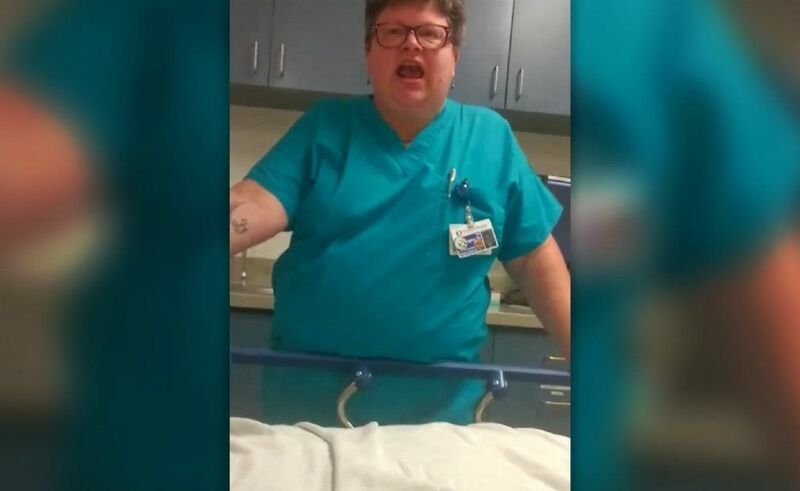 A man who was having an anxiety attack was rushed to the emergency room of a hospital in Los Gatos, California only to be mocked by the attending lady doctor there. The doctor identified as Dr. Beth Keegstra, a contract doctor with El Camino Hospital, was video-recorded on June 11 questioning in a hostile manner whether the then patient, 20-year-old Samuel Bardwell was truly sick or just looking for drugs. Bardwell’s father, Donald, shared that his son suffers anxiety attacks and takes Klonopin drugs. The college student, however, failed to pick up a prescription for two days and unfortunately suffered an attack and collapsing after basketball practice. Bardwell was brought to the said hospital’s emergency room by an ambulance. The son was able to instruct his dad to record the doctor on video when the abuses started and which, for a long time, appeared unrelenting. The father captured on camera Keegstra scoffing at his son when Samuel said he couldn’t inhale. Donald recorded Keegstra scoffing when Samuel complained that he couldn't inhale. Instead of showing concern for the patient or attending to him at once, Keegstra shot back at Samuel: "You must be dead," and called him "the least sick of all the people who are here, who are dying." Samuel said he received such treatment after waiting three hours to see a doctor. But the doctor had more abuse coming. She snapped at him, all caught in the video: "There, you picked your head up. Now don't try and tell me you can't move. Sit up, sit up, sit up, sit up! I'm having you sit up!" Keegstra could even be seen on the video yanking on Bardwell's arm. Samuel said he also told the doctor parts of his body were numb, he was in pain and having trouble breathing, hoping she could do something to relieve him of his physical suffering just like any good doctor should. Instead, she retorted: "He can't inhale! Wow! He must be dead. Are you dead, sir? I don't understand, you are breathing just fine.” Keegstra was even seen laughing in the video. Then she asked Samuel: "Do you want us to wheel you to your house in a gurney?" Curiously when Keegstra arrived to examine him, Samuel said she was accompanied by a security guard. He said that's when he requested his dad to start recording since he had a gut feeling something wrong will happen as they were not taking care of him from the start since they arrived in the hospital. There was also a point in the video where Keegstra could be seen using her stethoscope on Samuel and saying, "No. You have changed your story every (expletive) time." The hospital has suspended Keegstra for her behavior. The hospital has also apologized to Samuel. good for her! this 'patient' is a GD pos.